So it’s cherry season which is always exciting for me! Mostly because during the rest of the year cherries cost eleventy-billion dollars, but they are practically giving them away at the stores near us right now! I’ve always loved fresh cherries, though I really hate pitting them – making this handy dandy cherry pitting tool a lifesaver! Don’t get me wrong, I can do it with a knife, I just end up with purple stained hands for days that have people looking at me sideways out in public wondering if I just committed a gruesome felony. Other people just smile and nod – they know what’s up. Even if you are really low carb or keto, cherries can fit into your diet plan in moderation. They aren’t much higher in sugar than fresh berries, and because they are so packed with flavor, a little goes a long way in low carb dessert recipes. Speaking of recipes, I don’t cook with cherries that much because I just love eating them raw. 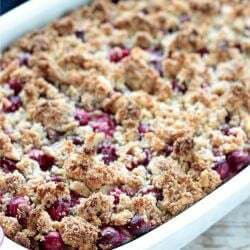 I did make this Paleo Cherry Crisp a couple of years ago that’s still very popular on the blog though. 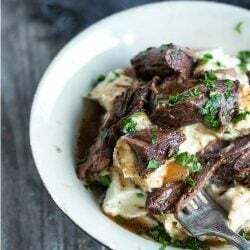 If you haven’t tried it I recommend it – super easy to throw together at a moment’s notice, and it tastes amazing with low carb vanilla ice cream! 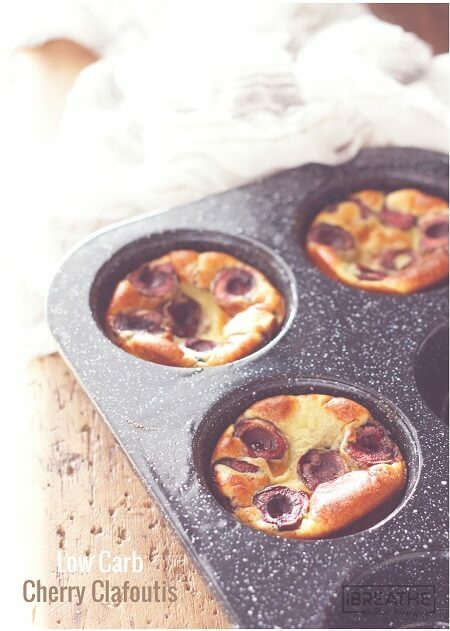 One cherry-based recipe that I’ve always wanted to try was Cherry Clafoutis. Mostly because I like the name. If you’ve never heard it pronounced, you say Clafoutis like this (kla-FOO-tee.) See? It even sounds fun. 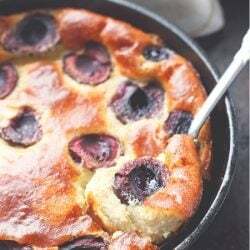 The French eat Cherry Clafoutis for dessert and sometimes even breakfast, which is a tradition I can absolutely get behind! 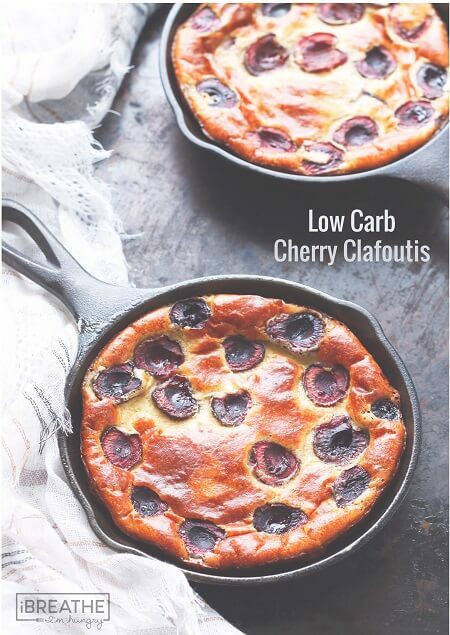 Until now I’d been enthralled by the name Cherry Clafoutis, but had never actually made the dish. So I remedied that situation last week. The end result was so much better than I’d expected from the descriptions I’d read and the photos I’d seen! It has a glossy, not quite crisp exterior, with an almost custard-like interior – yet it’s firm enough to pick up when chilled. 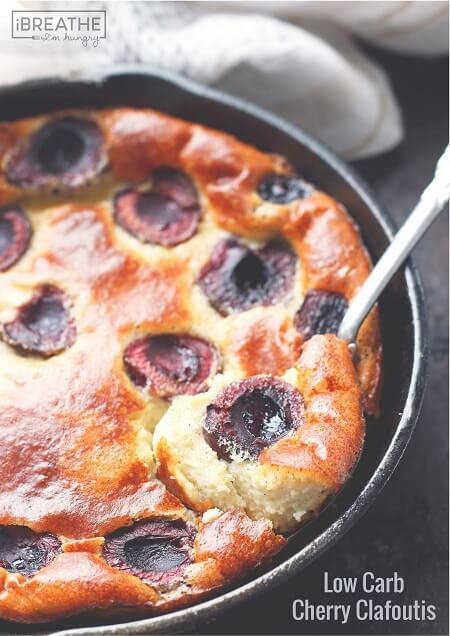 Having never made traditional Cherry Clafoutis before, I started with this recipe from Saveur as my base, but took quite a few liberties with it to make my low carb and gluten free version. There is a significant amount of vanilla in here that I thought might be too much, but it definitely wasn’t, so make sure to use it all – it’s not a typo. 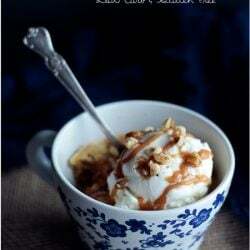 The intense vanilla flavor makes the custard heavenly. I added some cherry extract too, but almond would also work to round it out I think. 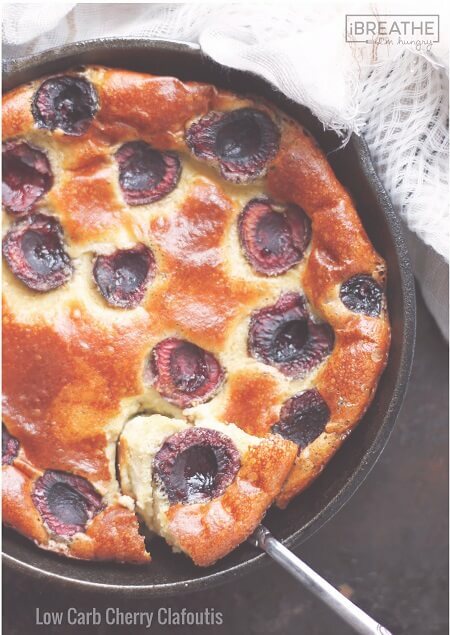 There are so many things to love about this recipe, but one of my favorites is that you literally throw all of the ingredients (except the cherries) in the blender until smooth, pour it into a buttered pan, toss your cherries on top and bake it for around half an hour. Mr. Hungry LOVED this recipe – there were none of the usual “it’s good but it would taste better with real sugar and flour” comments. He was too busy rummaging through the fridge to find his emergency can of whipped cream to put on top of his second helping – which he followed up with by finishing it all for breakfast the next day. That’s how I know this one is a real keeper. Unfortunately I only had a bite or two because I’m avoiding dairy and eggs right now and this has both. Those two bites were total bliss though! 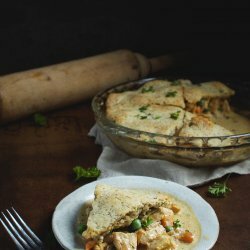 Another thing I love about this recipe is how versatile it is in the sense that you can make it in one large pan, mini skillets for two to share, or in individual serving sizes in a muffin pan. This is seriously the most perfect brunch recipe ever – it keeps well in the fridge if you need to make it ahead, and even if you don’t it’s so easy to make that you can decide to whip it up last minute and have it served in no time. And if you are buying up tons of cherries you can pit and halve them, then freeze them to have ready any time you get a craving for this. Once you try it, I have a feeling you’re going to be craving it A LOT. Don’t have cherries around, or eleventy-billion dollars to buy them out of season? No worries, you can put berries or other fruits in the same clafoutis base with excellent results! Which is giving me some fun ideas for future versions. Time to CLAFOUTIS ALL OF THE THINGS! This fantastic (and super easy) low carb and gluten free recipe is based on the classic French dessert and can even be eaten for breakfast or brunch! 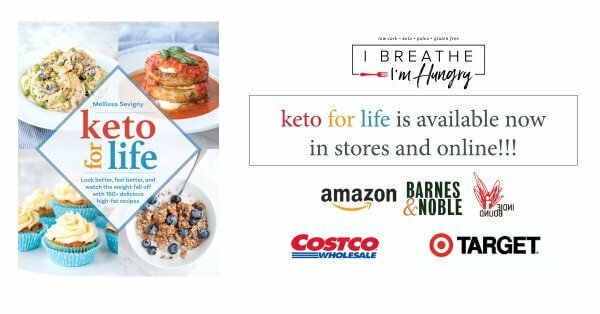 Keto, LCHF, and Atkins diet friendly! Combine the almond milk, heavy cream, sweetener, cherry extract, vanilla extract, xanthan gum, salt, and eggs in a blender and blend for about 10 seconds. Add the almond flour and blend for an additional 30 seconds or until smooth. Pour the mixture into the pan or muffin tins. Spread the cherries, cut side up evenly over the top of the batter. I substituted the whipping cream for the same amount of coconut cream and used silicone cases to line the muffin tin and they turned out absolutely perfect! Highly recommend doing this if you need to be dairy free as no need for the butter (or anything else) to grease the tin! Hi! I made this yesterday and it’s so tasty! It turned out really well! Clafoutis is eggy by nature, so I don’t mind that. I didn’t have any vanilla extract, so I used half a vanilla pod (seeds already used for another recipe) and blitzed it in pieces with the mixture. After blending I passed the mixture through a sieve to get rid of large vanilla pod pieces. Also, I didn’t have cherry extract, so I used a generous splash of Amaretto liqueur. Very pleased with the result, I will definitely be making this again. Thank you! Do you think you can substitute anything for the cream? My daughter can’t have dairy. I figured I would put a butter substitute for the butter but wasn’t sure on the cream. You can try almond or coconut milk! So frozen cherries wouldn’t work? Maybe if I thawed & drained them first? This was absolutely delicious :-). I made mine with Fairlife whole milk instead of the almond milk, subbed lemon extract for the cherry and used a few fresh blackberries per muffin. The batter was pretty thin and the blackberries all sunk to the bottom but no worries. It did (and still does since cooled) have a slightly eggs texture to it rather than the more custard like texture I was looking forward to but I think I may have overcooked them slightly. Definitely a keeper. I can’t wait to try out more flavor combinations. You know, for science… I have a really great recipe for a jicima “apple” pie filling I think would be phenomenal with the vanilla flavor. This was phenomenal. I’ve made blueberry clafoutis before, and I honestly could not tell any difference in texture. This had a lovely, souffle-like consistency to it. 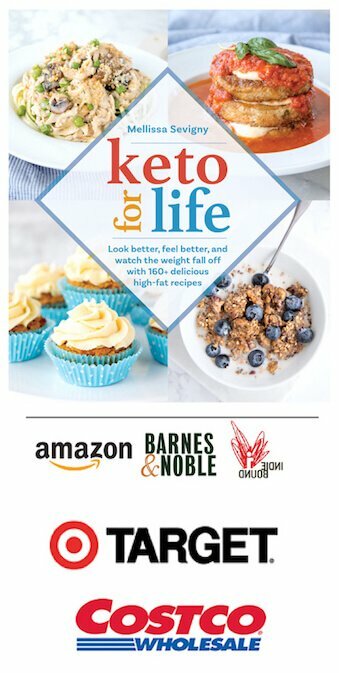 One of the things I’ve missed most about limiting carbohydrates has been replicating the textures of my favorite baked/breaded goods, and this does not disappoint. I used blackberries instead of cherries because that was what I had on hand, subbed almond extract for the cherry extract (felt that would work better with the blackberries, and specifically used erythritol for my sweetener. Because of the blackberries and possibly my choice of sweetener, this came out more tart and savory, with just a touch of sweetness. I think using naturally sweeter cherries and possibly more sugar substitute would solve this, but I actually enjoyed the subtle flavor this ended up having. This is definitely getting made again in my house! I was researching this dessert and the french do not pit their cherrie as baking them with the seed intacked, gives an almond flavor to the dessert. Made this twice for different events over July 4th holiday weekend. The first time just to see how it came out, and thought it was OK, but not terrific. A couple of people commented that it was not very sweet. So the second time, I raised the sweetener amount to 1/2 cup, and dusted the top with grated nutmeg and powdered sweetener. The sweetener because a french cookbook recipe calls for a dusting of powdered sugar, and the nutmeg just because I wanted it. Note: in France they make it using whole cherries, pits and all! They put the cherries in the pan, pour the batter over, and into the oven it goes. So no need to sweat if the cherries don’t float on top. Thanks Eric, the amount of sweetener is definitely subject to personal taste, as well as how sweet the cherries are that you’re working with! Dusting it with the powdered sweetener is a great way to compensate and make adjustments after the fact – thanks for that tip! Thanks for another winner! It’s delicious! We made these yesterday for a small brunch. They were an absolute hit. My husband and I fought over the last one. The only thing that I didn’t like about the recipe is that the clafoutis stuck to the bottom of the muffin pans, even though i thought i had buttered them *very* generously. I’ll be using a silicone muffin pan when we do the muffins next time. I can’t wait to try this as a base for other fruits. Thank you so much! As an update to my previous comment, i just tried this with a different muffin pan and used a bit more butter. They came out so easily. It must be my other pan! Wonderful recipe. This will be a staple in our house for years to come. I’ve already made it with frozen cherries and another with strawberries. Both turned out beautifully! I made this last night with raspberries and 2% milk, it’s fabulous. Had it warmed with whipped cream for breakfast. Fabu!! Just to update — the muffins have cooled, and there is definitely more of a ‘sweet’ taste, and less ‘eggy’. Yum! Ok, I made these! I forgot how much fun it is to bake. :) I think my batter was a little thin — do you need to give time for the xanthin gun to thicken? Maybe I should add more almond flour? I stayed true to the recipe, except I used whole milk instead of almond milk. My cherries sank, like another poster’s. However, I had extras, so I just put them in, too. :) I figured it was like Venice — eventually some would be at the surface. LOL I had maybe 6-7 halves per muffin. They rose amazingly while cooking, though they deflated a bit when I took them out. Wonderfully glossy. Smell great — I used cherry extract that is 3-4 times stronger than regular (lorAnn oils), which I have never used before. I’ve never had this dish before, so I cannot compare. Hot out of the oven, it seems a little eggy (but good). Not very sweet, which seems strange because they smell really sweet. :) I’m tempted (since I had one for ‘dessert’ tonight) to put a sweet drizzle on them. 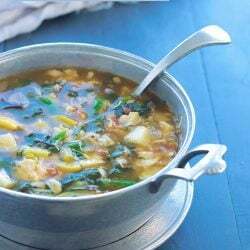 Easy recipe, great results. Thanks for this! I would like to substitute something for the almond milk. Could I just use regular (whole) milk? Or more heavy cream? Would I need to make any other tweaks if I do? I had to bake for an hour at 400. I didnt have xanthan gum, i used guar gum, the same amount. And i used heavy cream instead of whipping. Could that be a reason. This sounds delicious! 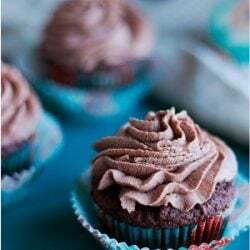 Could you explain what xanthan gum is and how it affects the recipe? 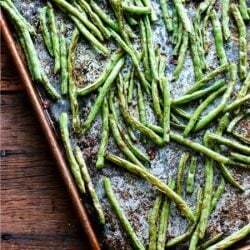 Is it possible to make this without the xanthan gum? Thanks. It’s a natural thickener Lizzie and helps the texture when you’re using gluten free flours! You can omit it if you’d like, it might affect the custard slightly but should be fine. Hi Mellissa! Well once again you have made a fabulous recipe. Just wanted to let you know that I made mine with raspberries and a few blueberries that I picked in my garden. I used raspberry extract and it is awesome. Husband asked for seconds then thirds. You are the best. I think we got the same taste buds because I really do like everything that you create. I’m not really sure how to keep that from happening Patty – I was careful to place mine gently on the top for the sake of the photos, but otherwise I did exactly what the recipe said. My batter was pretty thick though – was yours thin or did they just sink during baking? Thanks for this recipe. I make cherry clafoutis often in the summer. Only cherry, even tho other fruits can & could be used. 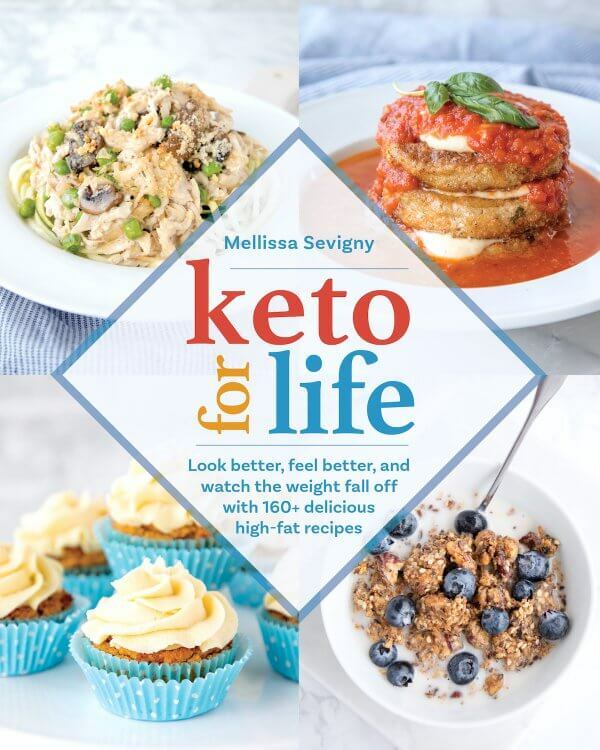 I have been using a regular recipe subbing in sweetener & a low carb flour. 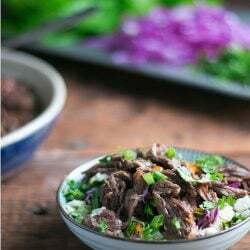 It’s nice tho to have an actual low carb recipe. And I already have cherries, so will try this week And I only eat it for breakfast! Would it be possible to switch cherries for apples? It might make the texture a little weird – but if you cut the apples thin so they get really soft I don’t see why not. 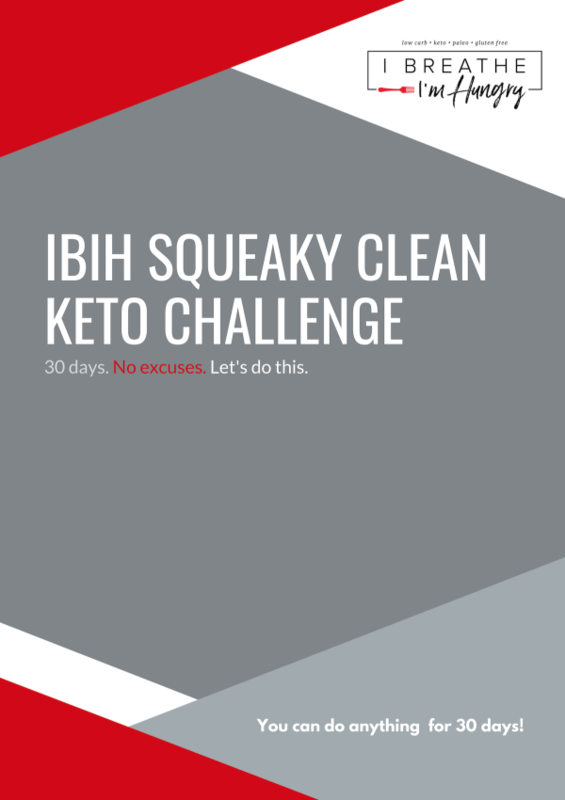 Let us know how it comes out if you try it! Oh I have been googling a million LC dessert recipes in the last couple of days, and I cannot wait to try this one. Custard! Vanilla! Almonds! Cherries! Follow up: I made this the other night without cherries or cherry extract. The flavour was spot on, and the almond milk and almond meal gave a really nice flavour, however the texture wasn’t smooth, too eggy for me. I’m not sure if I overlooked them? I think (guessing) that using the same amount of almond milk and equalling it with heavy cream would help balance the texture out so that it was smoother. But definitely moorish, and the cupcake sizes are much easier to control portion sizes. Maybe that’s where I went wrong and overcooked them? But I’ll be trying it again! Mellissa, When I was a kid, we pitted cherries all the time for pie, preserves, jelly and jam. My mother used the simplest and probably cheapest tool. You know the old fashioned hair pins that are wide. You just push the closed end in the cherry near where stem would be and hook the seed/pit and pull it out. Simple, cheap and easy just the way I like it. Looks like a great recipe and I will try it as soon as cherries are more affordable here in the South. That is an awesome technique Darlene – going to buy some hairpins and try it out! Thanks!! Update: I made this but didn’t have almond flour, so I used coconut flour. Not good. I used 1/2 cup coconut flour and added 1/2 cup extra liquid and it was still dry. It tasted good, but the coconut flour made it dry with a coarse texture. The flavor was really good, just not the texture. Thanks for the feedback Kim – yes coconut flour is a weird product. Works great in breads and things but with its course texture and absorbent nature I can see why it would have been problematic in this particular recipe. 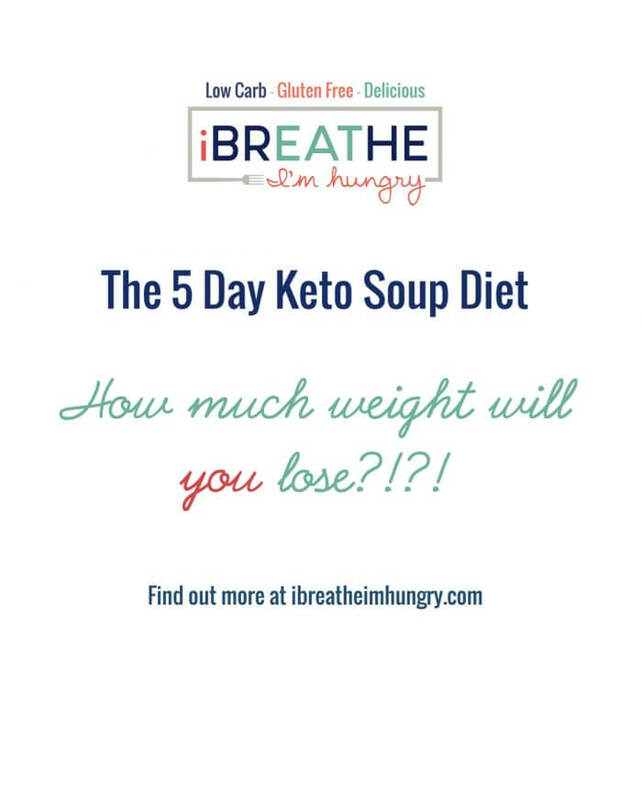 Try the almond flour if you can – it works great! You are so funny :) I’d read this blog faithfully even if it didn’t contain genius recipes… in fact, I think you are worth eleventy billion million. It’s time to clafoutis all of the things! So the cherries….is it 1.5 cups of already pitted and halved cherries OR is it 1.5 cups of whole cherries then you pit and halve them? I literally just tossed this in the oven. I used a 12 muffin pan, having a cup and a half of pitted halved cherries meant I averaged 5 halves on top of each muffin. 1.5 cups of already pitted and sliced cherries!